Recently I was asked about appropriate attire for Court. Specifically, I was asked about the propriety of wearing a piercing in Court. While dress codes in Cou rt are not what they used to be, you still should dress appropriately for Court. …so, should you take your nose ring out? 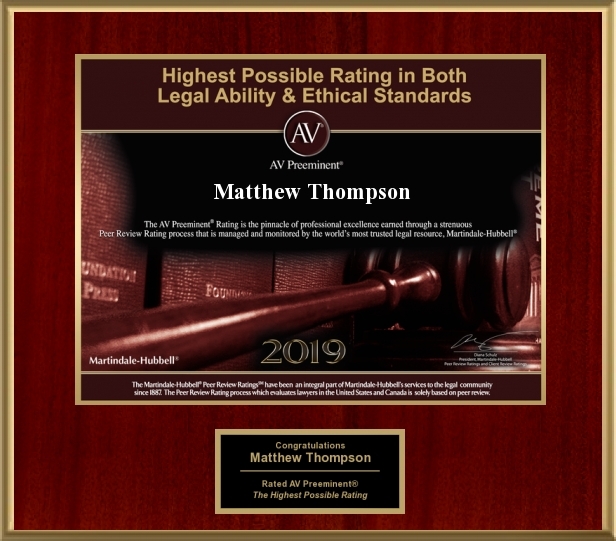 Matthew Thompson is a Litigation Attorney in Mississippi and while you may not lose your case because of your attire or appearance, everything you can do to help should be done. I’ve blogged about this a couple of times myself, after seeing some particularly inappropriate clothing in court, and sometimes just on standards of dress in general. The worst example, mentioned in one of these posts, is the day I was waiting for a hearing and one woman, waiting for her sentencing was wearing a “Southern Justice” t-shirt showing a tipped scale of justice, and another person was wearing a pirate themed t-shirt. Not good choices for those about to be sentenced. Thanks, Pat. I am astounded by some of the things people show up to Court wearing. I’ve seen a number of people who were told to leave by bailiffs due to improper clothing. However, I acknowledge that most people get it and do dress appropriately for Court. True, most do indeed get it. Still, you do see some spectacular departures. Back when we used the old WPA built county courthouse we would pass by witnesses waiting to be called in trials all the time. I recall seeing some who were clearly waiting to testify for criminal defendants, but whose dress wasn’t going to help them. Wearing a black leather trench coat with bloused boots probably isn’t going to sit well with a jury. Some years ago an opponent of mine called a minor witness, a female chiropractor, whom I had not deposed and had not met. My client, who had quite a sense of humor, did know her but hadn’t warned me on what to expect. When she was called, she had on high, high spiked heels, and hair like the female members of the B52s. The rest of her attire was a bit tight. The jurors eyes were about popping out of their heads, and I’m sure my jaw was on the floor. My client was amused. On another occasion I had a witness, in which safety was a significant issue, show up in a dirty t-shirt and drunk. I didn’t call him.